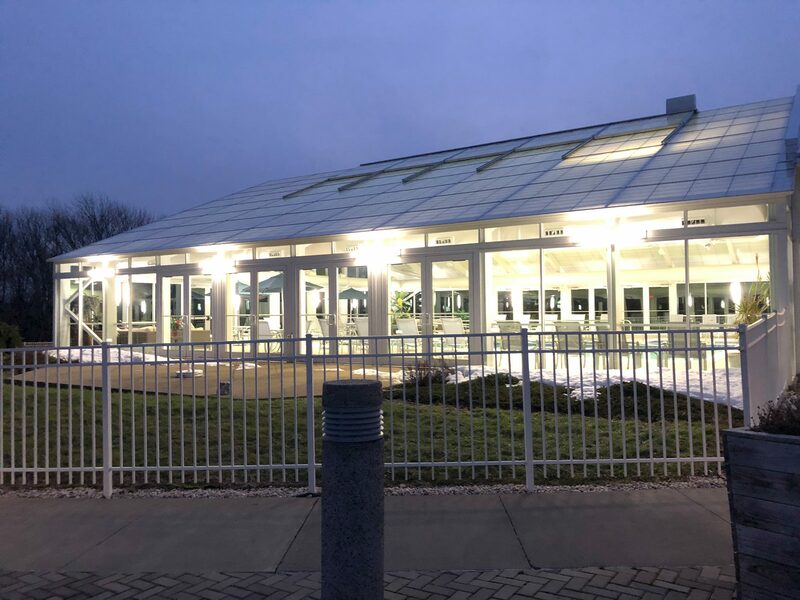 One of our newest additions at Ladore is our enclosed pool. 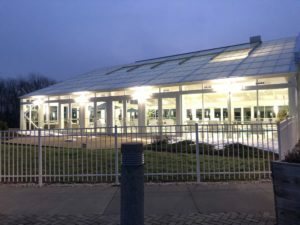 This area is over 7,500 sq ft and features a glass enclosure on three sides, deco lighting, two comfortable seating areas with a number of loungers, tables w/umbrellas and chairs. There are two changing rooms for guest’s convenience and 2 showers. 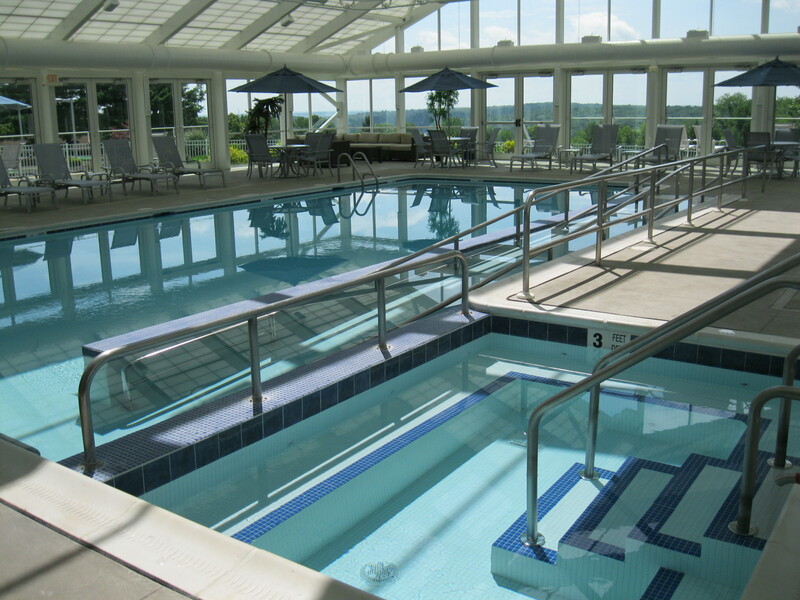 The pool features a handicap accessible ramp or you can enter via the stairs. 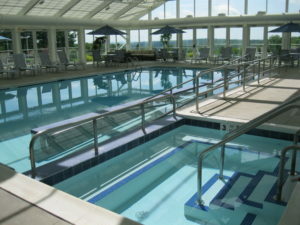 The pool runs from three foot at the shallow end to five foot at the deep end. Enjoy the welcoming waters of our heated pool – good for body, mind and spirit. There is an eight person hot tub alongside the pool. This pool area is especially lovely in the fall and winter when it offers a clear view of the lake. During the rest of the year view expanses of lawn and wooded areas. Entry to the pool is through room keys. Overnight guests can access the pool by holding their room key on the keypad, the front desk will provide entry for others using the pool. Participants swim at their own risk – there is no lifeguard on duty – we ask everyone to exercise common sense and to use the “buddy system”. Participants must wear proper swim attire. Towels are provided – when finished please put them back in the appropriate place. Please return any of the swim toys/equipment to its rightful place.